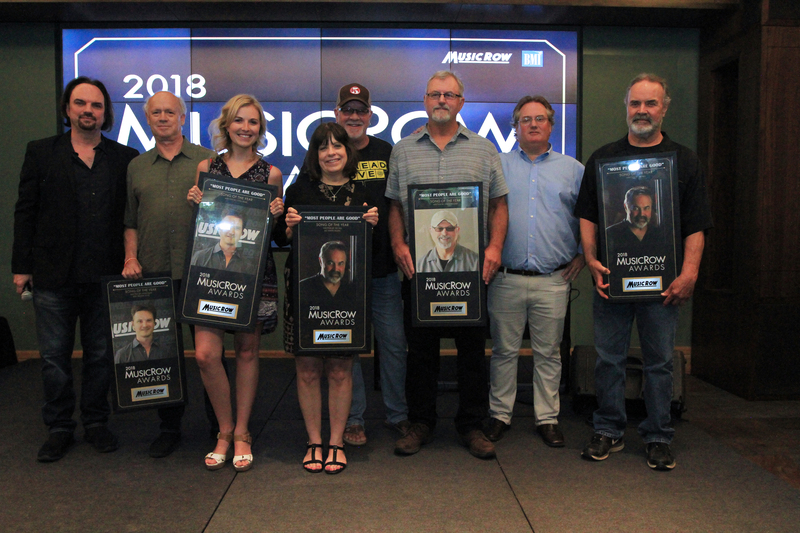 The 30th anniversary of MusicRow magazine’s awards was celebrated at BMI on Wednesday evening, June 27. Among those awards was the Breakthrough Artist/Writer category. Nominees were Jordan Davis, Jordan Walker, Morgan Wallen, Russell Dickerson and winner Devin Dawson. Next up was Chris Janson. He and cowriters Scooter Carusoe and Tom Douglas created “Drunk Girl.” It tied for Song of the Year honors with “Most People Are Good,” the Luke Bryan hit co-written by David Frasier, Ed Hill and Josh Kear. Those two songs triumphed despite completion from such stellar compositions as “Cry Pretty,” “Life Changes” and “She Ain’t In It,” which were also nominated. Robertson pointed out that there were 17 people who wrote their first top-10 country hit during this past year, which he indicated is a sure sign that the genre’s future is bright. The accomplishment qualifies them for MusicRow’s 2018 Breakthrough Songwriter Award. Emily Shackelton was elected the winner for her No. 1, “Every Little Thing,” co-written with artist Carly Pearce and producer/publisher busbee. 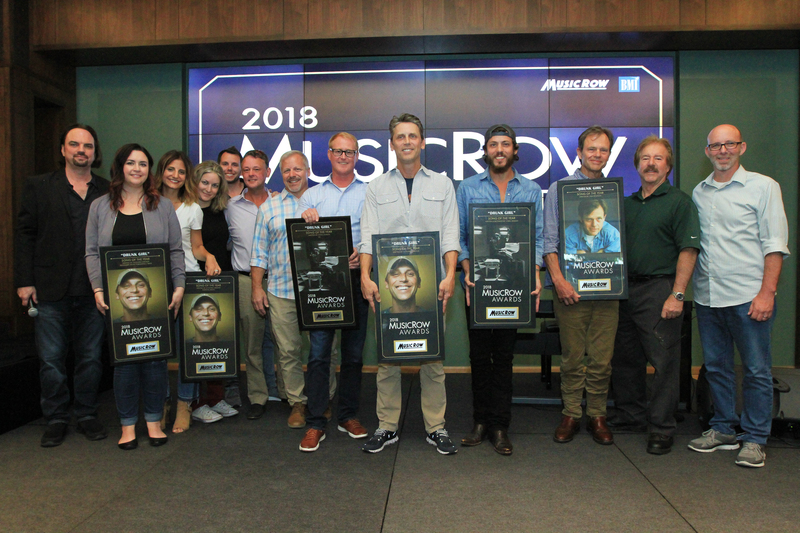 Pick up a copy of the 2018 MusicRow Awards print issue at MusicRow.com to read more about the winners, and read exclusive editorial. 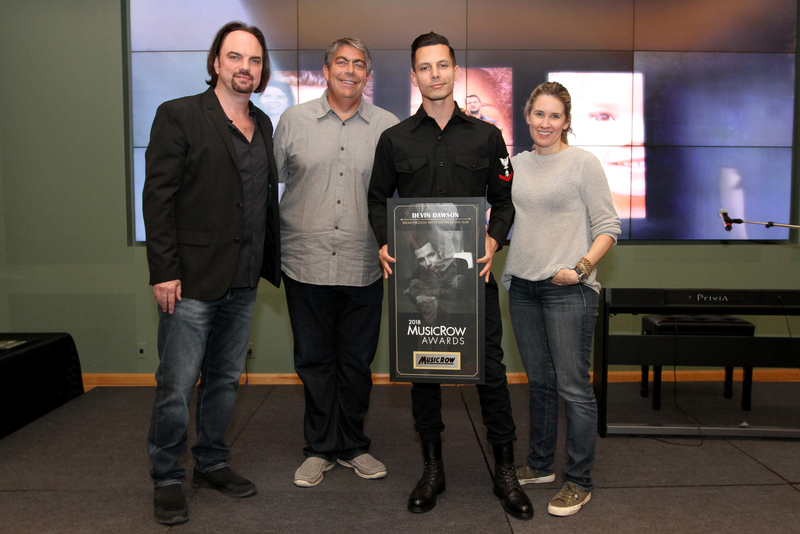 Read more about the ceremony at MusicRow.com. 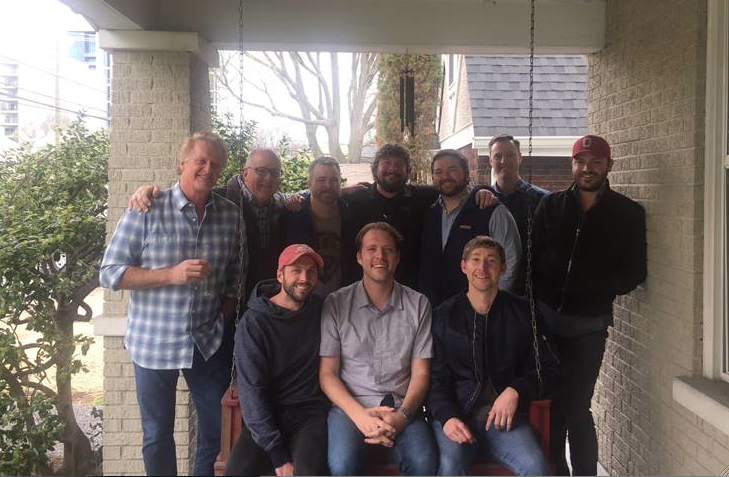 Matt Jenkins has extended his publishing agreement with Warner/Chappell Music, Tape Room Music, and Combustion Music. Jenkins’ has penned five No. 1 singles, including the recent multi-week Billboard chart-topper “Do I Make You Wanna” by Billy Currington. 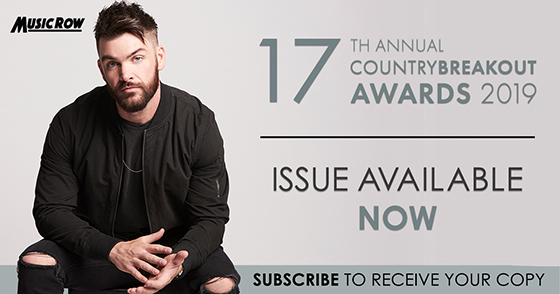 Having recently worked with artists like Michael Ray, Walker Hayes, Blake Shelton, and Little Big Town, some of Jenkins’ hits include Old Dominion’s “Song For Another Time,” Kenny Chesney’s “Setting The World On Fire” featuring P!nk, Keith Urban’s “Cop Car,” Dustin Lynch’s “Where It’s At,” and Florida Georgia Line’s “Confession.” His song “Fade Into You” was also featured in the TV show Nashville. Shortly before releasing E.G.O, the BMG-published album from Lucie Silvas, Downtown Music Publishing has announced a round of hirings and promotions in its Nashville office. 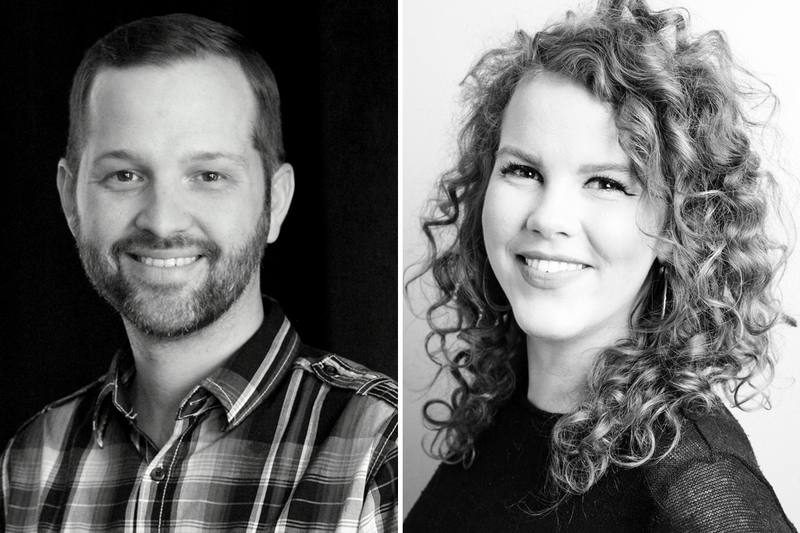 Matt Turner, formerly of Big Loud, has joined Downtown as Sr. Director, A&R. Silvas’ sister in law, Natalie Osborne, has been promoted to Director of A&R. Garrett Stephenson is appointed office coordinator, Caylan Hays will be Sync Licensing Assistant, and Kyle Coker has become copyright assistant. Katie Roth has been promoted and joined the A&R team as creative coordinator. 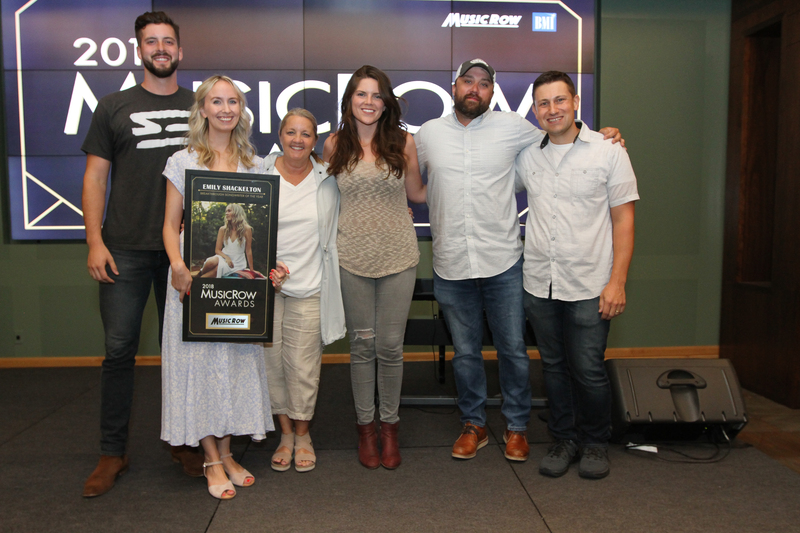 MusicRow spoke with Osborne about her promotion and about some of the recent developments at Downtown Music Publishing. Read more at MusicRow.com.